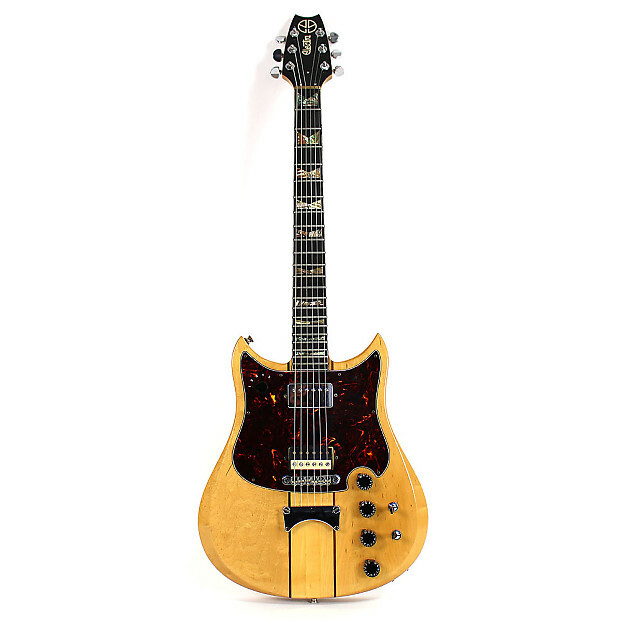 Cosmetic Condition: Rare, top of the line model made in Japan between '77 & '81. Cool vintage vibe - various minor nicks, chips, dents, dings & surface scratches. No cracks, breaks or repairs. 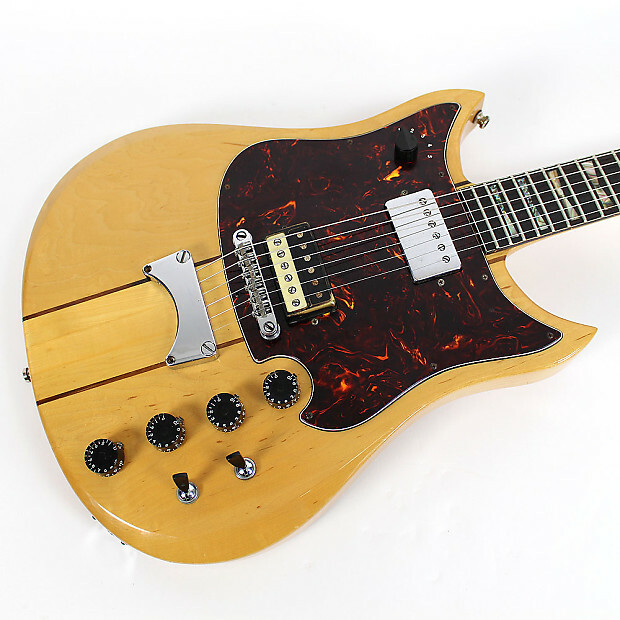 Overall the guitar is in great shape & plays very nicely. 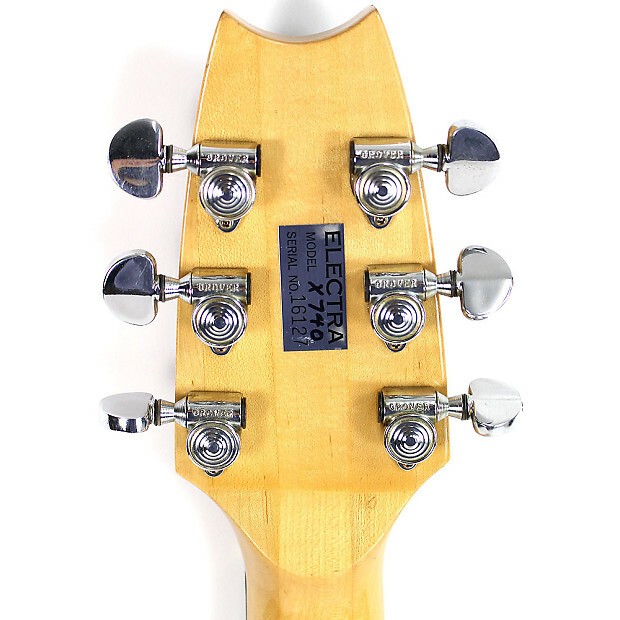 Neck: Three-piece maple neck with tortoise binding & cream side-dots. 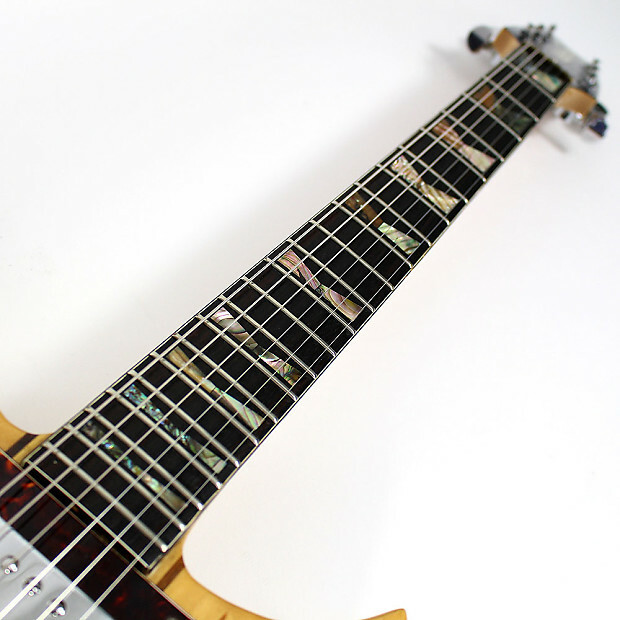 Very dark rosewood fingerboard with gorgeous abalone inlays. 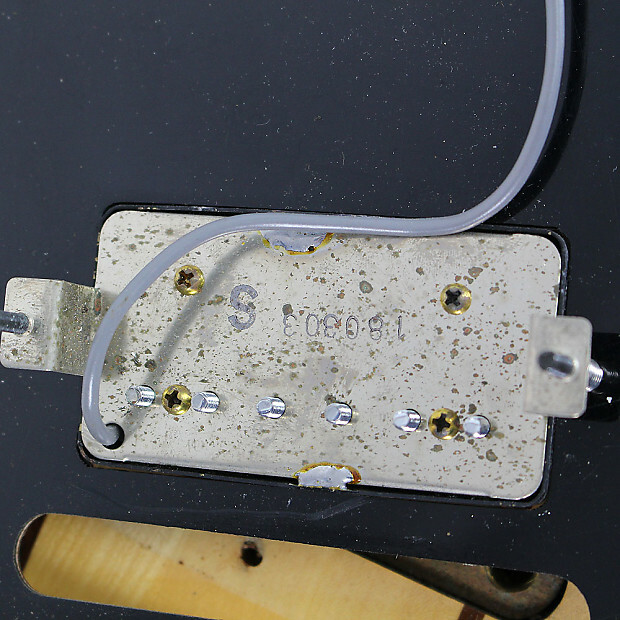 Frets are in great shape with no wear. Grover Rotomatic tuners in perfect working condition. 1 11/16" nut width; 24 3/4" scale length. 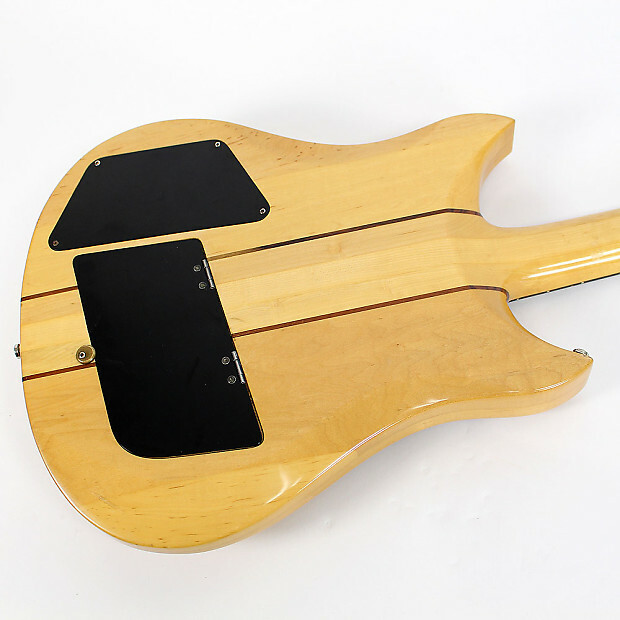 Body: Neck-thru body design with solid maple wings. 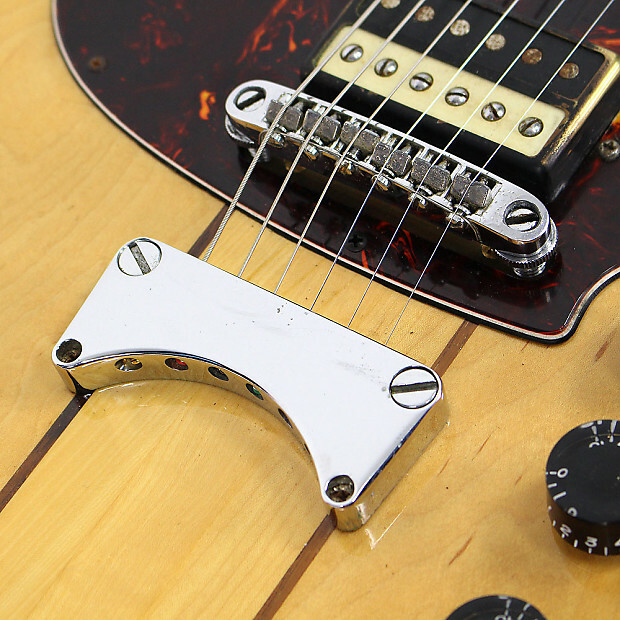 Top-loading tailpiece with adjustable bridge; 3-ply tortoise pickguard. Guitar weighs 9lbs 15oz. Pickups: Dual humbuckers. 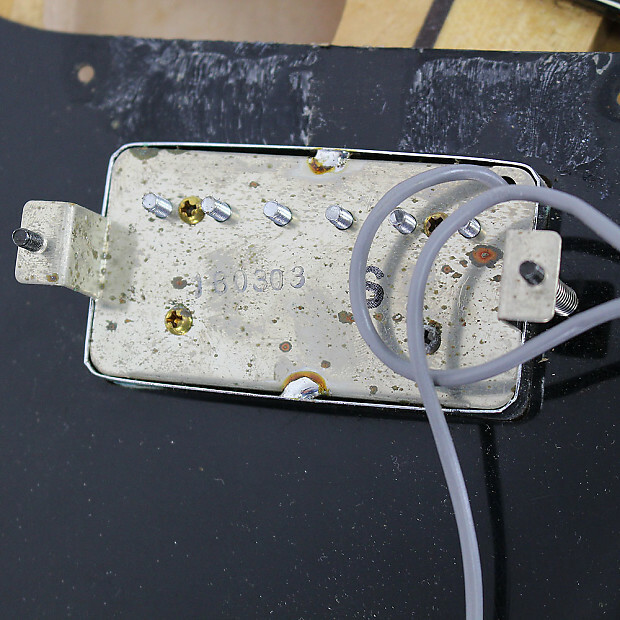 The exposed coil zebra bridge humbucker is original. 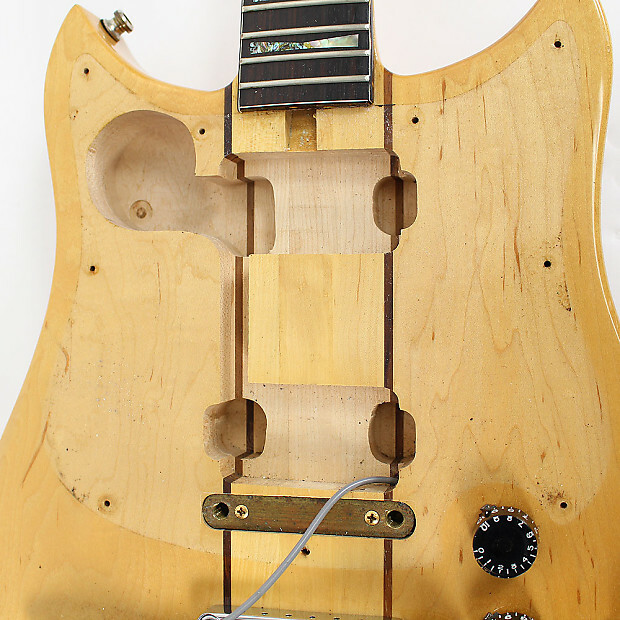 5-way rotary selector switch. 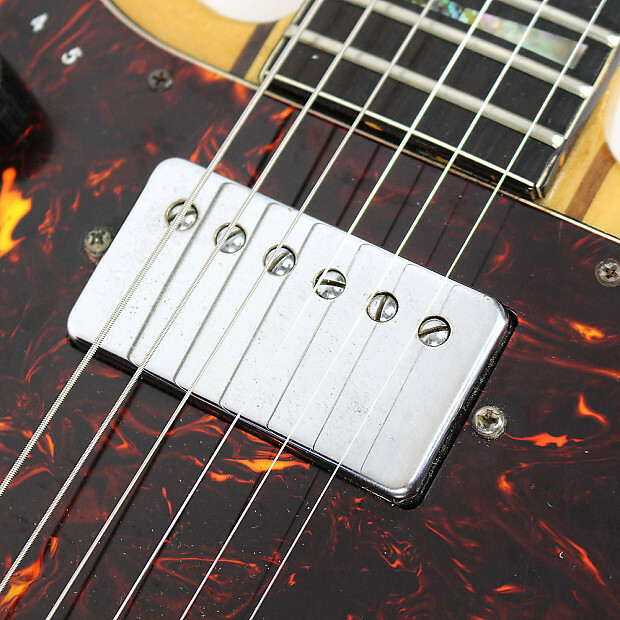 Dual volume & tone controls with black speed knobs. 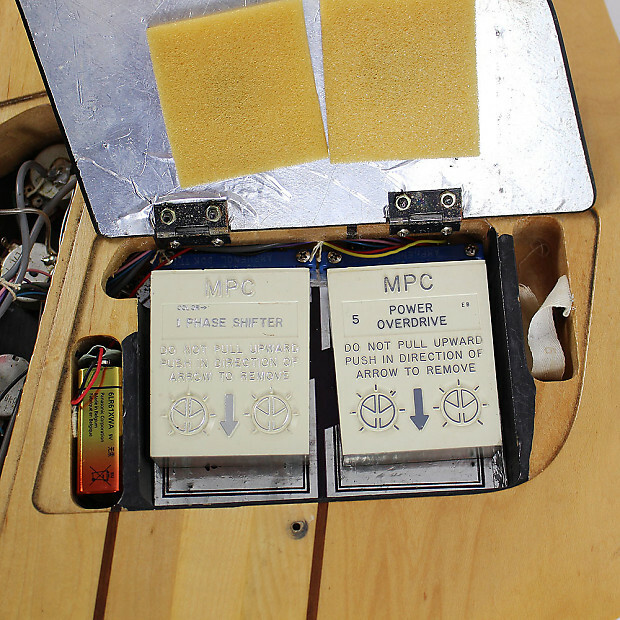 Guitar comes with two MPC cartridges - Power Overdrive & Phase Shifter & are controlled by two large selector switches. 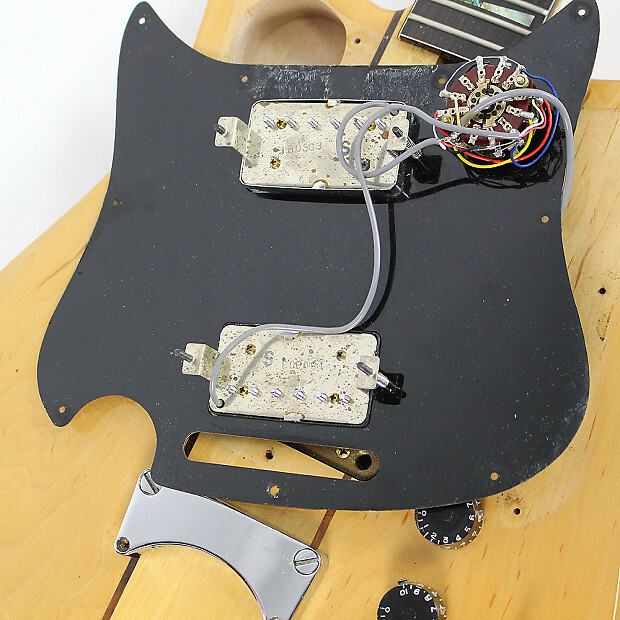 All electronics & effects are in perfect working condition. 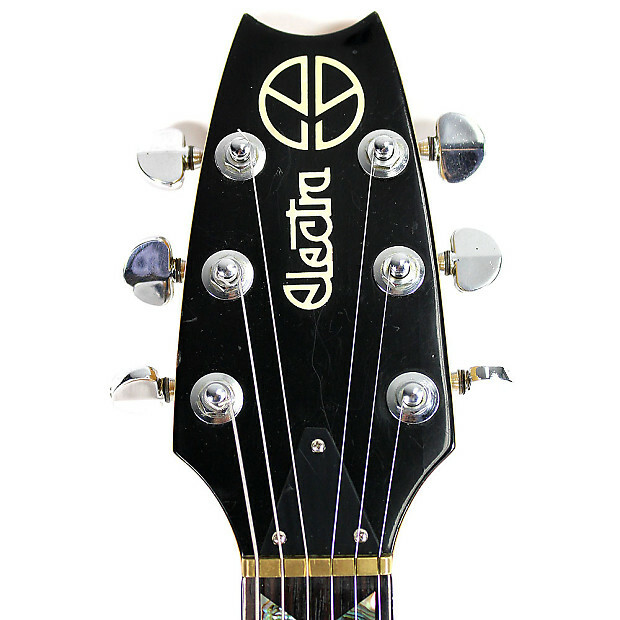 Playability / Sound: Nice action - neck plays well & is very comfortable. 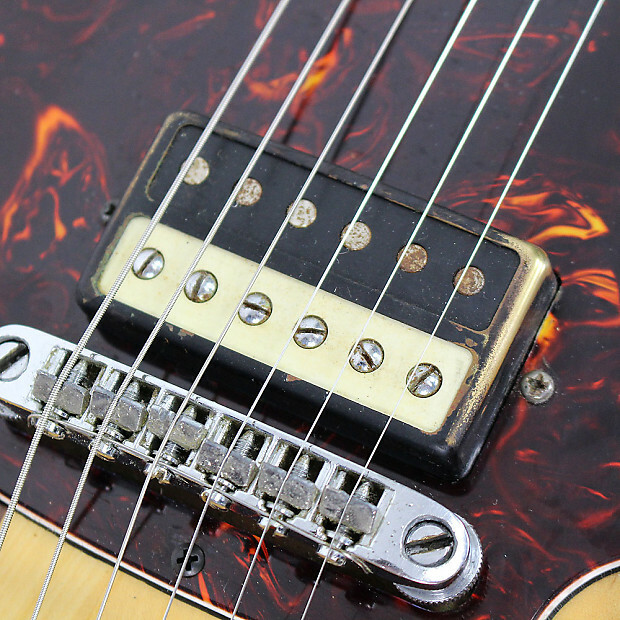 Warm, rich humbucker tones & super groovy special effects really make the guitar unique. Case: Original hardshell case is missing so we are including a nice padded, gig bag. 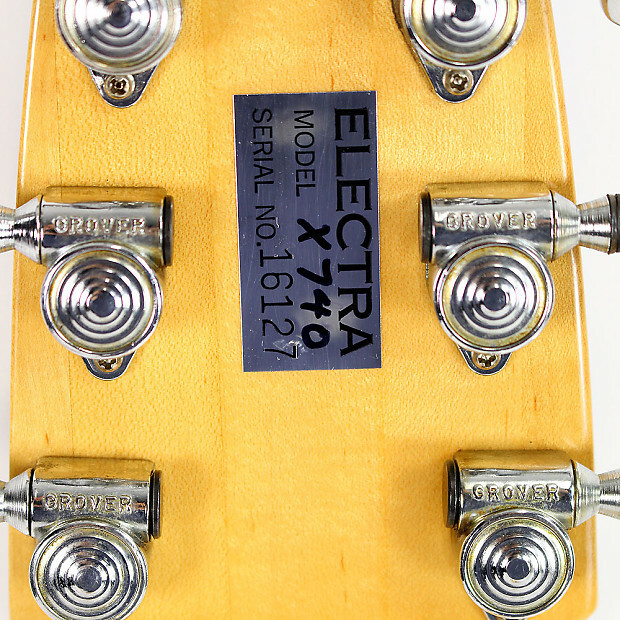 We offer flat rate shipping: Every guitar or bass order will ship for free via UPS Ground. Smaller items will ship with USPS Priority or First Class mail. Exceptions include addresses outside the contiguous 48 United States. Cream City Music will ship to virtually ANYWHERE in the world: Cream City Music ships most orders with UPS and USPS, providing our valued customers with the comfort that comes with excellent point to point tracking information and full insurance on your purchase. Cream City Music loves SAME DAY shipping: We know you want your gear and you want it fast and with minimal hassle! As such we strive to offer SAME DAY shipping on all orders that are received no later than 3:00 PM (CST). Because we fully inspect every instrument that goes out the door prior to packing this isn't always possible. 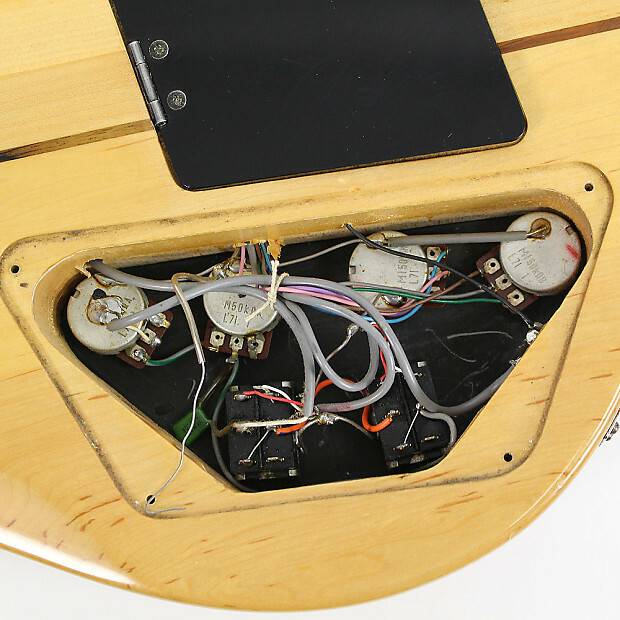 We would rather your setup be perfect than to ship you a guitar that won't play like a dream when you open the case for the first time. If we are unable to ship your purchase the same day we will ship it the following business day. Cream City Music LOVES International shipping: Cream City Music has the distinct honor of a broad client base from all over the world. We have shipped our products to nearly every corner of this great planet! We want you to know that whether you're in Europe, Asia, South America, Australia or beyond, we want to do business with you. Shipping quotes and prices do not include VAT or other import taxes which vary from country to country. Buyer is responsible for all import taxes and duty. Please contact your local customs office to determine what fees and taxes you will be assessed upon delivery into your country. Manufacturer's Restrictions: Note that certain manufacturers put shipping restrictions on some products, including some products that cannot be shipped to international destinations. However, we often have used versions of those products available which can be shipped ANYWHERE in the world. Please contact us here to see if we have used stock available for you. Mesa/Boogie, Voodoo Lab and EarthQuaker Devices products are ONLY available for US shipping, must be a US resident. Tracking & Delivery Confirmation:After your purchase is completed, and as soon as the order is shipped, an email with a UPS tracking number or USPS delivery confirmation number will be sent to you to track the status of your shipment. Delivery Time: Our standard shipping services, UPS Ground and USPS Priority Mail, deliver anywhere in the contiguous 48 United States within 1-4 business days. How to Return an Item to Us - or Why Can't This Be Love? If you decide you'd like to return an item, please contact us right away via email, by phone at 1-800-800-0087 or via our website Livechat. You will be issued a return authorization number (or RA#,) then given easy instructions on how to get your product back to us safely and efficiently. Please see below for our policies on new, used, and vintage products. New Items: Most new, untouched, unopened items† may be returned within 14 days of the date of delivery for a full refund in the original form of payment or store credit at your discretion, less outbound shipping costs. For any returns other than non-disclosure related issue or incorrect shipment the buyer assumes responsibility for all return shipping costs. If the item was sold with "Free Shipping", the shipping and handling charges incurred from the initial outbound shipment will be deducted from the refund. Cream City Music reserves the right to refuse any return if item is not returned in the condition in which it was delivered. Vintage & Used items: Most vintage & used items may be returned within 14 days from the date of delivery. 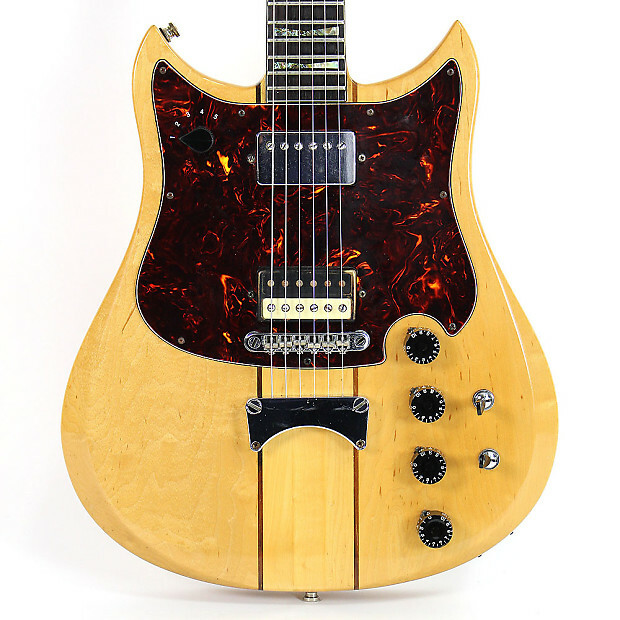 Our industry leading vintage cetrification process allows us to stand behind every vintage and used instrument we sell with absolute confidence. Buyer assumes responsibility for all return shipping costs, unless return is a result of incorrect shipment or defective item. If the item was sold with "Free Shipping", the shipping and handling charges incurred from the initial outbound shipment will be deducted from the refund. Vintage and used refunds are eligible for refund in the original form of payment or for store credit. 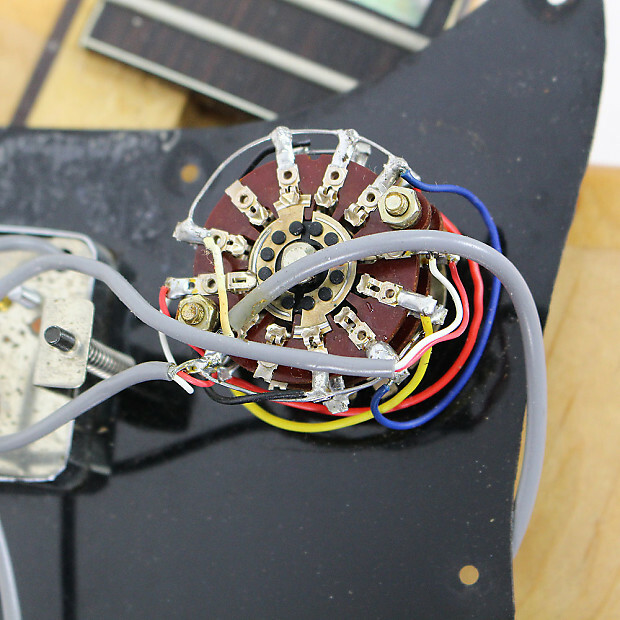 † Some products are not returnable under any circumstances such as amplifier tubes, instrument pickups, microphones, earbuds, earplugs, and harmonicas as well as any other products designed to come in contact with the mouth or ears due to sanitary concerns. When will I get my refund? : We know you made a commitment with your hard-earned money to buy from us and we're committed to a quick and consise reimburement of your purchase! The time period to get your refund includes the transit time for us to receive your return from the shipper (1-7 business days depending on the carrier), the time it takes us to process your return once we receive it (24 hours), and the time it takes your bank to process our refund request (1-5 business days depending on your bank). If you have any questions or need assistance, please contact us at 1-800-800-0087 or returns@creamcitymusic.com.